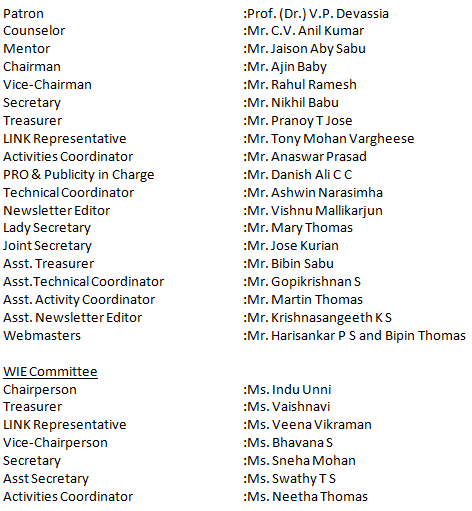 I am extremely pleased to announce the new office bearers of our student branch taken charge effective from Jan 1st 2010. We had a great run last year and I wish the support and love from all of you will continue with the new members. This entry was posted in CEC Senate, IEEE and tagged 2009-10, CEC, CEC IEEE, Committee, Execom, Executive, IEEE, Rahul, Rahul Raj, Raj, SB. Bookmark the permalink.